Whether you are just updating you current bathroom, or want reassurance & peace of mind with an entirely new bathroom, our experts are experienced with all shapes & sizes of projects here at McCall Tiles & Bathrooms. Simply take your measurements to your nearest showroom and our team of experts will build your portfolio based on your needs, suggestions and ideas. 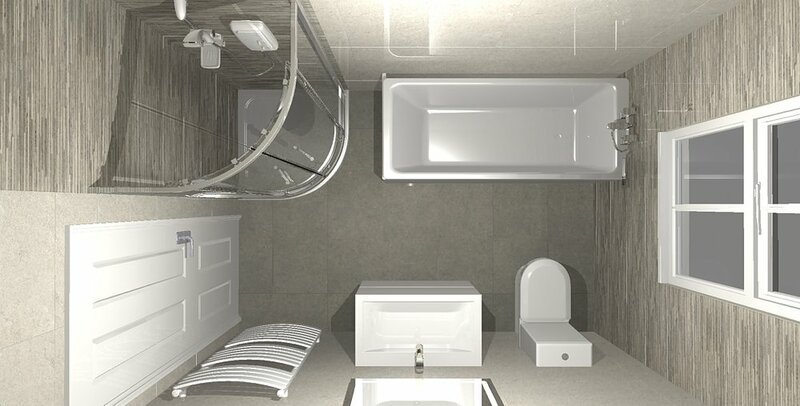 Our modern 3D design software allows our experts to design your bathroom in the most realistic way possible. Whether you just want to know if everything fits or you want a completely new makeover, let us know & we will be happy to tailor our service to suit your needs. For that added peace of mind, we also offer complete site visits for those who are unsure of their measurements or just want some help with planning their space. Simply ask a member of our team who will be happy to check your measurements & offer suggestions based on your chosen colours & styles.